Anyone seen this. Seems like a good idea depending on the quality of the clubs. You buy enough they will reshaft for free. Looks to be same technology used in adult clubs. Haven't seen those before. All depends if they put the same effort into them as they do the adult stuff. Or optionally, if they essentially copy the specs of US Kids clubs. Other than a putter, I don't use any ping equipment so I can't tell if the iron heads or driver/fairway/hybrid heads look modeled directly after adult equipment (other than they look like golf clubs). They are copying the style of the G400 line with the woods/hybrid but they are not the same club. They look nice though. I would putmy daughter in these as she got older up to about age 10-11, but I would not put anyone 11-13 in these. Much better options for likely the same money. If you bought these young, and got the free reshaft around 9/10 I could see them working. One thing you know, Ping will stand behind the quality, so you don’t have to worry about them wearing out. Break anything and they will take care of it for years. I wish they had a few more options but this is an interesting move by an oem to really get into the junior market. My daughter 8, plays few ping woods and this is interesting be interesting to see price points on these. My daughter has the Thrive tweener-set. I would say irons and putter are of the same quality as “adult” products, driver, wood and hybrid are of a simpler make but absolutely suffice. Of course, the entire set is very reasonably priced too. The Prodi G wood series definitely looks more like a modified version of the Ping adult clubs (based on the pictures). Would expect such a set to cost quite a bit more than a Moxie or Thrive set. I wonder if the bar on the irons CB are the CTP, or just a visual copy. If these have the SW tuning of the CTP, then I think these could be really good. Ping know how to do custom fit, and if they will get SW, length and flex, along with their dot system adjust lofts I could see these taking off. If they try to sell a box set with a couple of shaft options and don't utilize the fit system like the adult clubs, then it it will fail. I bet a high school could get onto Ping direct equipment and compete with TM. I see lots of schools use Titleist, Ping, and TM. Not so much Callaway. Ping lost the high school and college markets to TM so they had to go younger. Look for a more aggressive bidding war when the AJGA - TM contact expires. My daughter had a chance to demo these. She didn't like the way they felt compared to the Ping GLE irons. Golf Pride Junior Tour Velvet On Irons and Wedges. you realize they will extend and re-shaft a set for fee as well so you are getting two sets in one basally. But I do agree their iron pricing is expensive. The drivers and woods are on par. My son has been using the Prodi G for about two months now and he loves them. He hits them great and the distances are consistent gaps between clubs. Everything works, right ball flight, lots of spin with the wedges. He already had a driver and putter he loved so he got fairway through SW. As you get a reshaft, I decided it worked out about the same price as the US Kids golf set but I thought the Pings were built better and it seems so. 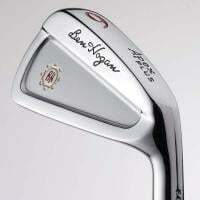 They are great just wished they would have made a LW and an 5I as well as more loft options on the woods. My daughter uses the driver, and fairway wood and they are both very long and very good clubs. Not sure she will play the irons but time will tell.